Pouchong is process with sllight fermentation. When brewed, it produces a light yellow tea, a mild aroma, and a delicate flavor. 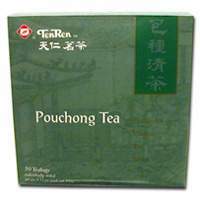 Pouchong Tea, popular in Taiwan, has a milder flavor than Oolong tea yet stronger than Green tea.